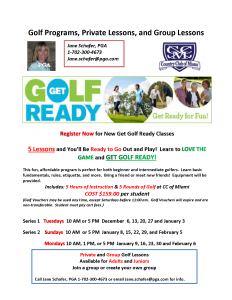 PGA Professional Larry Levow and The Whole Game Golf School teach boys and girls ages 8-15 the fundamentals of golf with instruction, games, and short course play. 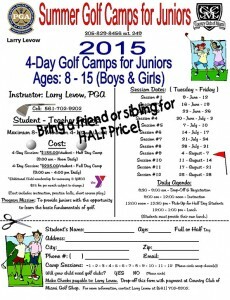 Sign-up a second camper at 50% off. Full-day session includes swimming at YMCA, with additional monthly YMCA membership fee. Single-rider golf carts are available for persons with disabilities. (Please call the golf course and allow 24-hours notice when requesting a single-rider cart.) Call (305) 755-7848 (v/tdd) to request materials in accessible format, a sign language interpreter (five days required), and for information on access for persons with disabilities.